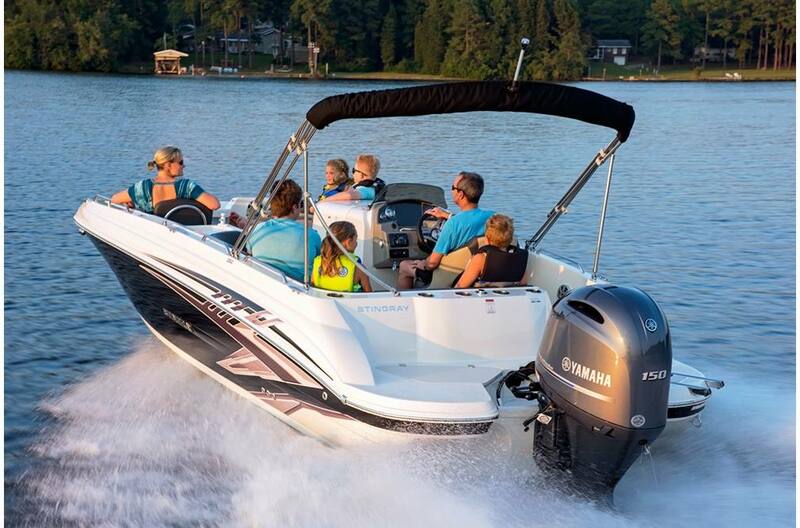 Bring the kids, bring the friends, bring the tubes! 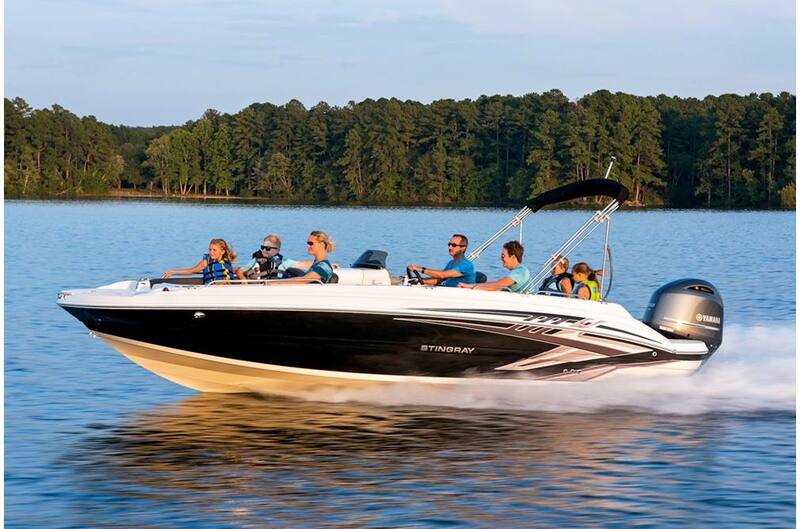 The 212SC, STINGRAY's largest deck boat at just under 22 feet, is a breath of fresh air to the deck boat marketplace. 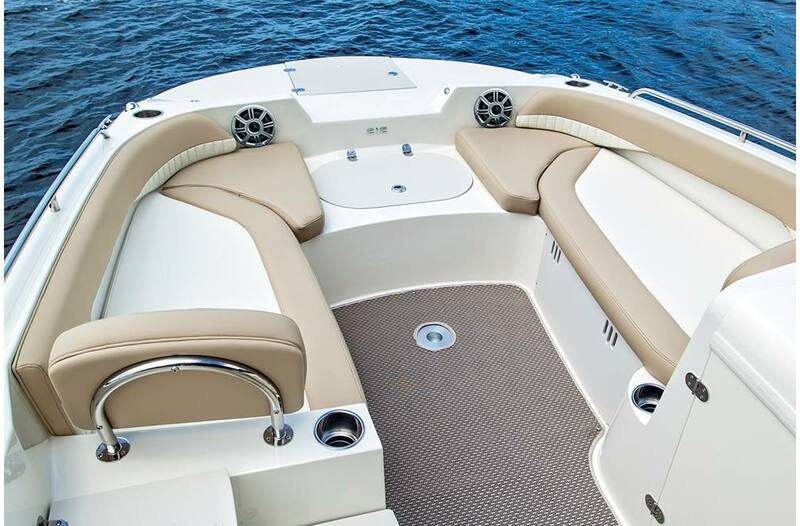 In true deck boat style, the spacious floor plan is maximized with an open floor plan. 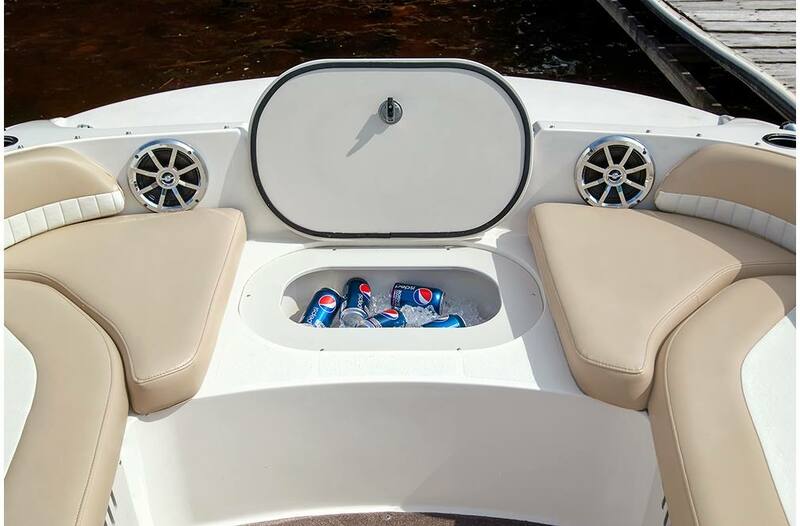 The onboard changing room can double as a head compartment with the addition of the optional porta potti option. 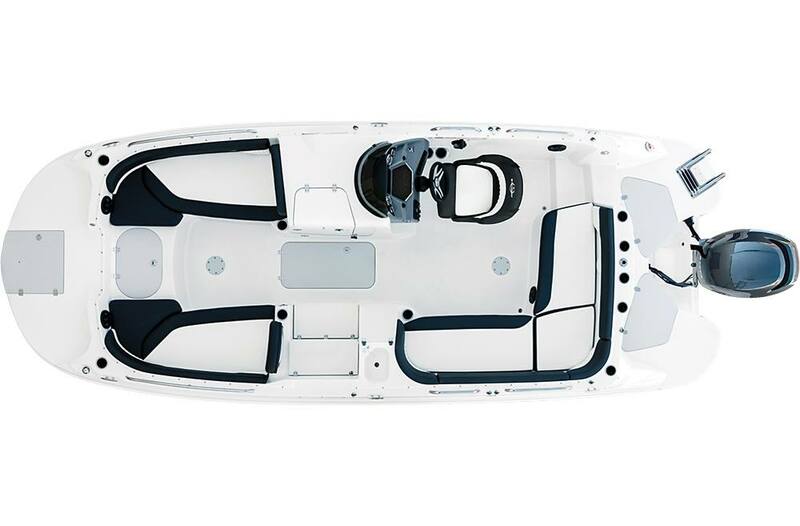 Hidden storage in the side-entry steps, beneath the seats, and below the cockpit floor provides plenty of room to store the necessities, leaving more room in the cockpit for friends and family. 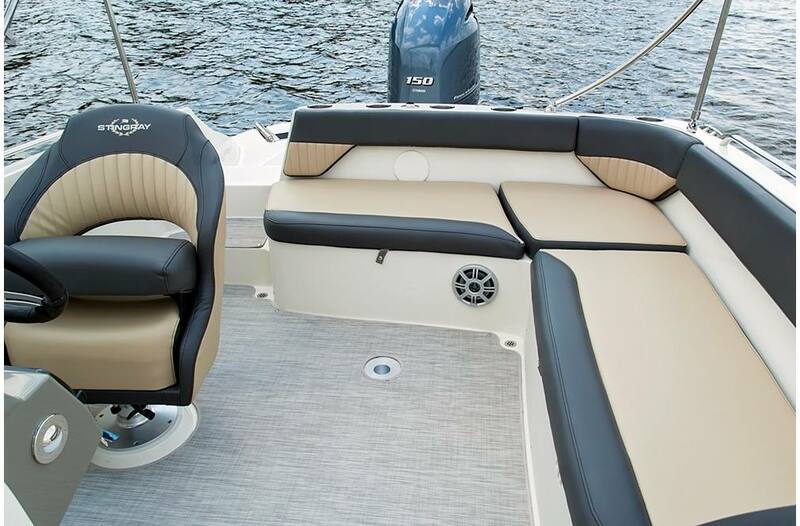 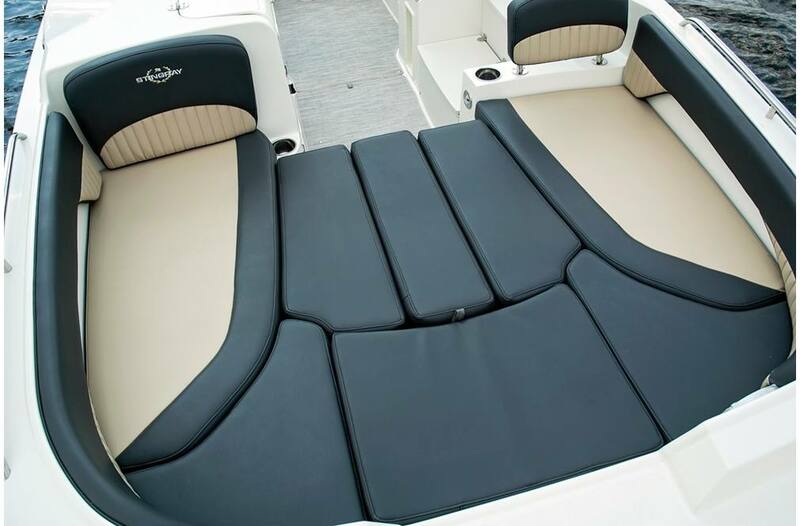 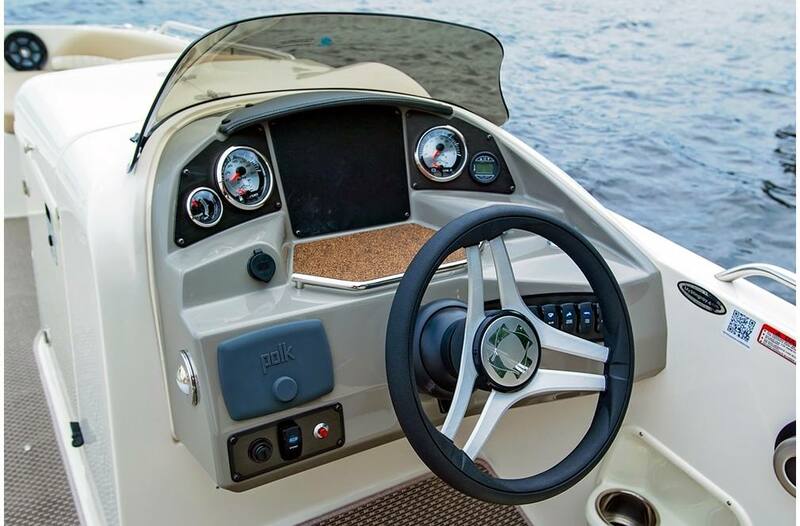 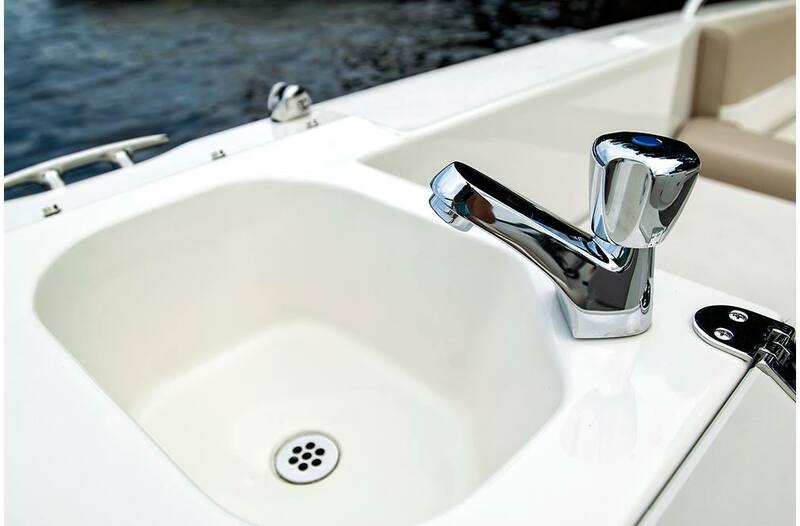 The service friendly outboard combined with the full fiberglass floor liner makes any type of maintenance a breeze. 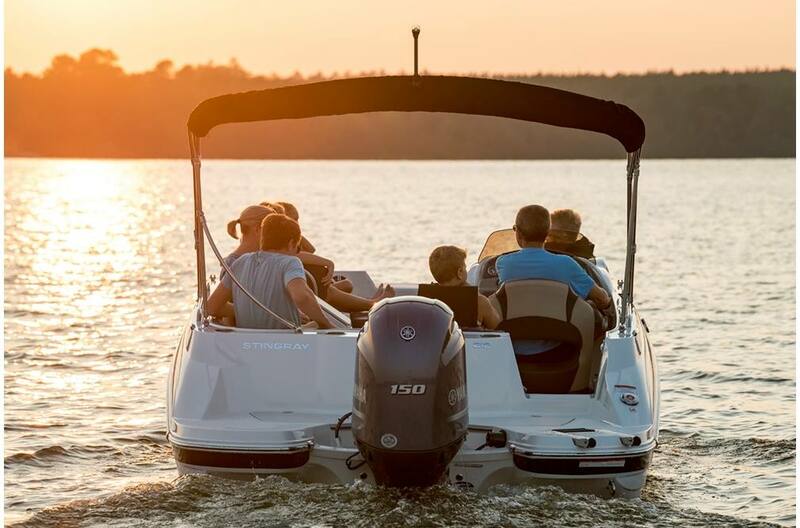 Contact your local STINGRAY dealer to schedule a test drive. 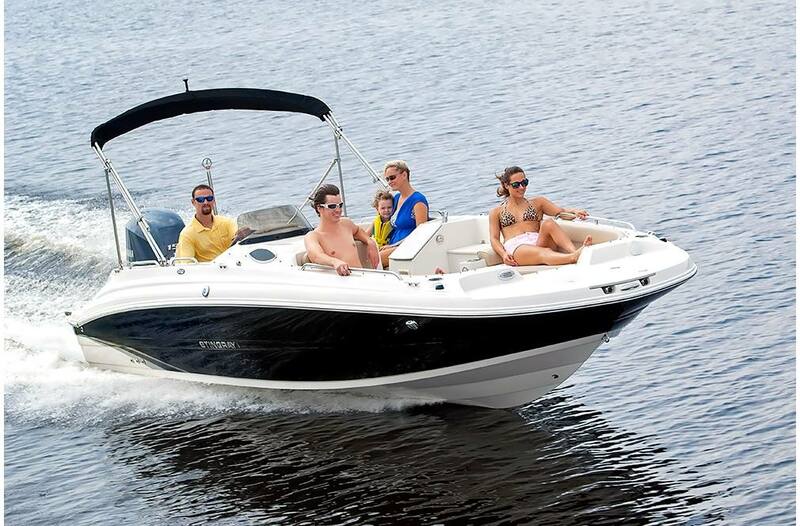 The 212SC's superb handling and smooth ride will make every person in the boat want to take their turn at the wheel. 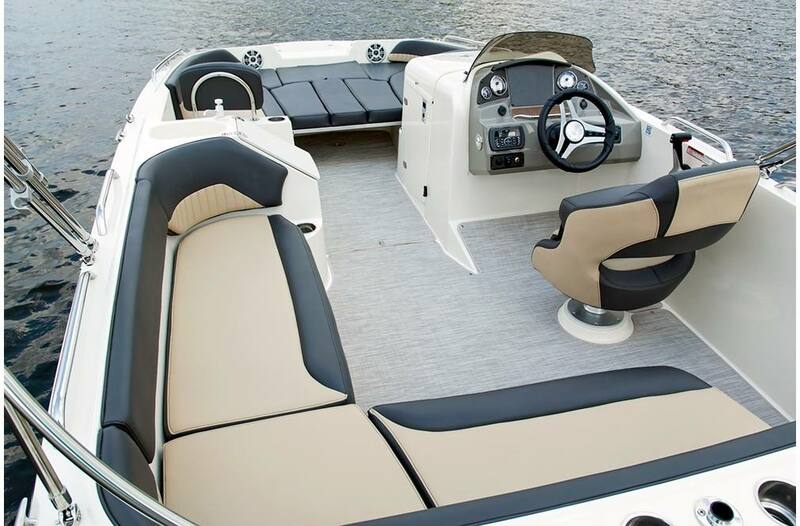 Let's go boating!